Samui may only be the third largest Island of Thailand after Phuket and Koh Chang, but it has a surprisingly long list of things to do and see. Our advice therefore is to make sure you stay long enough to experience it all, because apart from beautiful palm fringed beaches on which to laze away your days and soak up the sun it will be worth your while to organize sightseeing day trips, adventure trips or do some excursions on your own. While all beach resorts in Koh Samui can arrange excursions and sightseeing tours the plethora of tour operators on the island will constantly offer their services which allows you to compare prices and get the best deal. Alternatively, rent a jeep at anything from 600 Baht per day and explore the island at your own time and leisure. The more adventurous can also rent a dirt bike, grab a map from your resort indicating all sights worth seeing and have a fabulous day doing something different. The views, hanging suspended from a harness attached to a high tensile cable many meters above mother earth and the tree tops is absolutely awesome. Guides will accompany you on the ride. 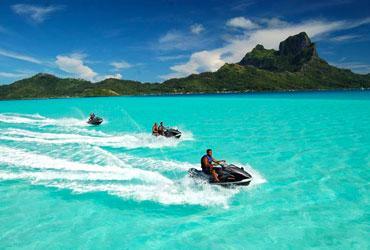 Jet skis can be rented on Chaweng and Lamai and also some other beaches. You can also go kayaking, sailing, windsurfing, water skiing and kite boarding all of which can be arranged with your resort or tourist centers on the island. 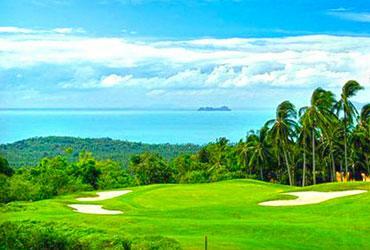 The island offer a world class 18 hole golf course at the Santaburi Country Club located above Maenam beach and another course at the Fairhouse Resort in North Chaweng. Two driving ranges exist, one of which is in Lamai and another next to Bandon International Hospital. 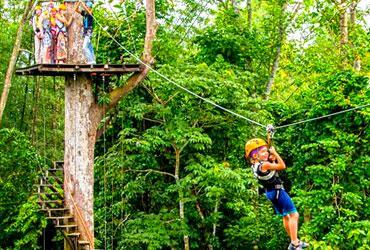 This is a safe and professionally managed activity on Koh Samui for the brave ones among us. 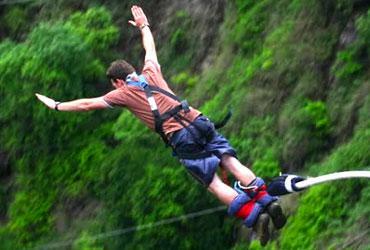 Get ready for an adrenalin pumping, knee shaking, gut retching 50 meter plunge. Then, touch the water below before going screaming back up toward the heavens. 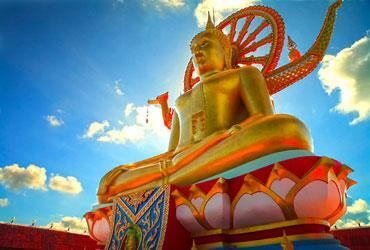 This big attraction is named after the 12 meter high statue of the Lord Buddha overlooking the Wat (temple grounds). Here you are required to observe and follow dress and etiquette rules, which basically mean shoes off and shirt on. When ascending to the top of the statue, you are welcomed to some beautiful views. The temple and statue itself makes for great photos to take home. At the entrance to the temple you may make a donation. In exchange your name will be placed upon one of the bricks used for the expansion of the temple. On your approach to the temple you will find small craft shops, clothing shops and restaurants. Snorkeling is a must for everyone to see the tropical underwater life around the island's shores. Day trips can be arranged via most of the resorts or with one of the many tourist centers on the island. At the same time you can also see so much more of The Gulf of Thailand by boat. Depending at which resort you stay you can simply walk in from the beach and do your snorkeling. 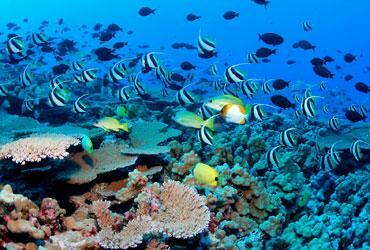 For the more adventurous, scuba diving in Koh Tao is one the most sought after in the entire South East Asia. Professional courses with Padi registered dive centers are available on Samui and Koh Tao.